I've updated this hair and I think I went a little overboard. 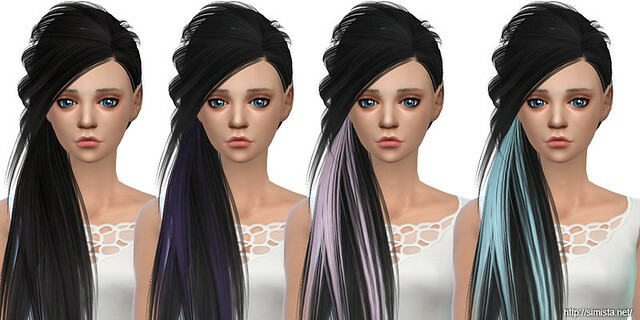 :D This hair now comes in all my current textures/colours. I also added a bunch of multi coloured versions. Bringing it to a total of 42 colours. Comes in 28 solid textures and 14 multi coloured versions. All using my textures.